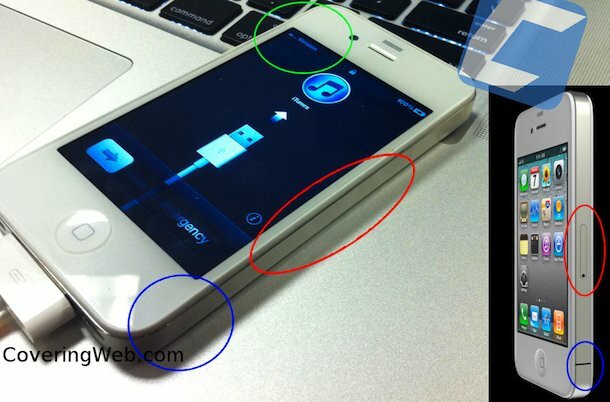 A picture has surfaced that claims to be a White Verizon iPhone 4. The image is particularly interesting because it shows no SIM card slot on the side of the iPhone, which would be inline with a CDMA iPhone. There is also a solid frame with no antenna separation like existing iPhone 4 models, which would suggest there is a redesigned antenna in the device. Apple has said the white iPhone 4 release date will be sometime in Spring of 2011, and rumors suggest that the iPhone will come to Verizon around the same time. If those two pieces of information remain true, then Apple probably does have CDMA iPhone’s being tested in the wild, and it might look similar to the device pictured. Take this picture with a grain of salt, it could easily be clever Photoshop work. Also highlighted in the image is the iPhone screen which displays “Verizon” as the carrier, but that is hardly a sign of validity considering anyone can customize the carrier text with a simple jailbreak app. This alleged Verizon White iPhone 4 picture appeared on CoveringWeb.com, who says they were emailed the image and specifically stated that the image might be a fake. It is worth noting that not all White iPhone appearances are fakes, you can get your hands on such a device through the grey market if you happen to be in China, so it might even be one of those. No mention of the upgraded iTunes logo finally making it to the iPhone? Good point, I didn’t even notice that. If this is true, and it does happen, I will be there. Pretty sure that the iphone and ipad I loaded up with the 4.2 GM seed had the new iTunes logo during activation, but I’m not positive, so don’t take it as gospel. I’ll keep an eye out for it when I load up the 4.2.1 GM seed, just saw Apple released it and grabbing it now. I think it would be very wise for Apple to get into another market other than just AT&T. Choice is not something Apple has not been great at providing in their history. However, whoever wrote this article didn’t examine the photo very closely. They say, “There is also a solid frame with no antenna separation like existing iPhone 4”. There is very clearly a metal antenna on this phone just like the AT&T version of iPhone 4. It is harder to see on a white phone, I guess… but if you look at the bottom-right corner of the phone, it’s very clearly the same antenna.